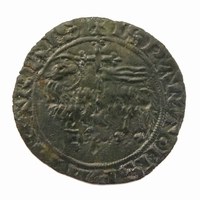 Uniface round coin weight for weighing a 'Chaise d'or'. The Chaise d'or was minted under Philip IV le Bel from August 1303. 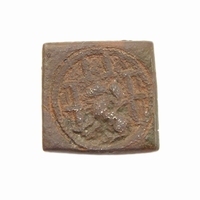 Obverse: A seated King on a large Gothic throne, holding sceptre.